Soo My Dear Music Freaks and Party Animals!! A Radioshow and Music that moved and escorted several Generations and amazingly received Cult Status!! I “Amokalex” Rudzinski want to Personally Thank Several Individuals who gave me the opportunity to Go for it!! Although we had our differences on occassion because of my Character as a Human and in some cases knowledge at the Time! 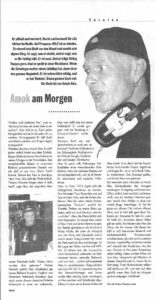 Rüdiger Kreklau – R.I.P. – I am very Happy that I still have All the Tracks that you have spoken. Keeping your Voice Alive! Sebastian Fitzek – Thank You for the Authorization using past jingles with both yourself and Rüdiger!! Awarded in many Occassions as Germanys Nr. 1 Psycho Thriller Author!! His Books are available in 23 Languages! …and I have them all outside of the latest two! Dear Mr. Fischer!! …you are a Man of Word! I have much Respect for you! I will never forget the Eye to Eye Talk we had in the TV Studio I rented in Brachwitz, Sachsen-Anhalt. Project-Reloaded came along and your Office got in touch with me! 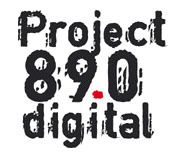 Thank You for Your Authorization and allowness to use former material from Project 89.0 Digital and Project-Reloaded!! I Promise you to do and be the Best I can with FETTESRADIO and without your Support, it would have never come this far! Thank You! Regardless of what you might Think, Feel, or whatever about me. I will NEVER Forget You! …and what you did for me! Regardless, ….that can’t and won’t change! Thank You that YOU thought about Me and of Me when the Time came!! I still cherish the FUN we shared Kickin Project 89.0 Digital …and I learned alot from you but not enough at the Time! …but that is how LIFE works. …the only thing that I regret the most is not having any further contact to you. That doesn’t Stop me though from expressing my Thanx for all you have done for me and the Great Time we spent just having some serious fun!! Now it is your Turn Gentlemen! 🙂 …I know I am probably one of the wackiest Human Beings you have ever met! …and probably one of the most toughest to understand! …But that is okay!! …at least No one can Copy me!! 🙂 Thank You for your Patience and the Work and fun we shared together developing PROJECT-RELOADED! …and there is more to come!! A Day that every PROJECT 89.0 DIGITAL Listener will never forget, as well as the Talks that I had with them and gave everyone a Open Unedited vent to Talk about everyones Thoughts and Fears! NO Musik!! 3 Days long in the Amokalex Morningshow and Afternoons! Only an Open Telephone Line for Everyone that wanted or needed to Talk!! 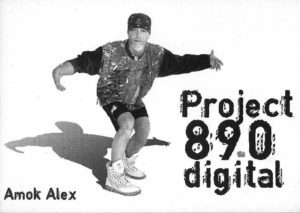 …and 17 Years later, …former PROJECT 89.0 DIGITAL Fans still bring that up! But We have all become Older and Wiser!! ….and FETTESRADIO – FATRADIO is back for YOU ALL!!!! …I believe that the opportunity and the way (which many of YOU THINK you know, but have NO IDEA!) …this all Steered it’s way into Happening is in my Eyes, directing us back to the Time before 9/11! In other Words WE ALL! ….start communication with others from around the World! Find out for Ourselves with the Help of Others who are concerned for a Humans Well being! In the VERY Near Future, Music Shows are planned! One in German, One in Englisch, possibly One in Russian! I am still sorting out on what Days and Times would be Best for those particular Languages!! …Let’s Sing Along** ….Who will be nice enough to make some suggestions from Russia, America, Germany?? …I would appreciate the Infos to Help better serve YOUR Music Pleasure!! It will once again be a 4 Hour Talk Show! ….about ANY subject that interests Us!! 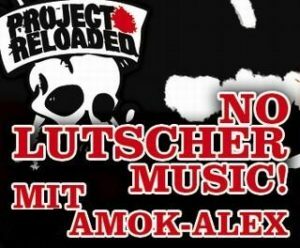 I WILL NOT REPEAT ANY SUBJECTS FROM THE FORMER – AMOKALEX & FRANK STONER SHOW!! I will surely use previous subjects from Former Shows as Reference, …but that is normal when you Research. …but we are now much further! …being that many Theories and Interest amungst us has grown, Questioning Things, anything and actually Reasearching it! I won’t and don’t Know The answers to most of the Things we will be Talking about, …but we can look into them Together! Many New Findings, Many New Complements on Subjects, and many New Facts have been found! …we want to do it Internationally Now!!! WE always Talked about WE WANT AND WOULD LOVE TO HAVE AN INFORMATION POINT (an information Bridge for FREE MINDED & OPEN MINDED HUMANS) THAT ONE CAN DEPEND ON TO FIND OUT FOR THEMSELVES ABOUT WHAT IS GOING ON AROUND THE WORLD!! …As Long as You are AW§ARE OF and NOT Afraid of possibly stepping out of your COMFORT ZONE about the way one might think things Work! Music is THE Language EVERYONE UNDERSTANDS …and that is where We Started!! The WEBSITE – FETTESRADIO – is OUR WEBSITE! ….and that is where we will begin to Communicate others Humans, without Judgement, without Prejudice to ones Opinion, such as Dissin’ or Bullying his or her thoughts!! Everyone has the Right to their Own Opinion! …should WE disagree on a Subject?, ….We are Mature enough! …and WE are for Damn sure Smart enough!! Wouldn’t it be much cooler to have the disagreeing Parties get Together and Test, Experiment together to try and clear each others theory or Opinion? ….I even see this as a Great Way to get the Children Involved!! …get them Thinking FREE for themselves!! How often have WE heard stories about how a Childs Mind and way of seeing things (Imagination) has solved Major Problems in the Past! …all these thoughts that I am writing are just the Idea and the hope to Inspire YOU ALL in the direction WE would like to go and Do Our Best To Put Together! …and being that FETTESRADIO – FATRADIO belongs to YOU! We are also looking and Hoping for Ideas, Tipps, Help?, Support?, Whatever Burns in your Heart!? WE WOULD LOVE YOUR INPUT AND SUGGESTIONS!!! I had a Vision! A Vision that I experienced at Our FirstListener Get Together Camping Weekend. ASSE CAMP!! …although I had a Terrible Cold which cost me alot of Energy, I Saw, Spoke to, Listened and Watch how Others dealt with one another and it was Amazing!! Humans, over 190!? Who have never met one another before Personally, from every corner of the surrounding Countries, Together and Deep Intensive Talks, Together making Music, Exchanging Ideas, Natural Healing and Natural Healthy Nutrition. Not ONE PERSON Asked what one does for a Living! …the Social Status of everyone wasn’t asked! Interested or even concidered from ANY of US!! …my Vision has shown me EXACTLY THIS PICTURE AGAIN!! …the ONLY Difference!! WE WERE HUMANS THAT CARE from around the WORLD! ….and it was BIGGER, BETTER! Because we were exchanging Information with One Another that does Good for us!! We enjoyed each others Music, we even taught each other Music Styles and Rhythms, Discussing Theories, Experimenting, Meditating, Lectures … and it was Really Cool! just some Amok – Food for Thought!! I Wish YOU ALL a Fun Time, Many Smiles, Good Health, and The Strength to OPEN Your Mind to some other Opinions that are NOT Mainstream as it is Sold to Us! But, …just To Hear a Subject Out and Sleep on it Overnight so you can Dissect it for Yourself at Your Convenience! Once Again! Use it!! …Start A Group Up, Get a Subject Started Tha you would like to know about! …many are looking for one another!! Lets get it started!! Enjoy and we be Hearing Us!! …Very Soon!! ….Very LIVE! !